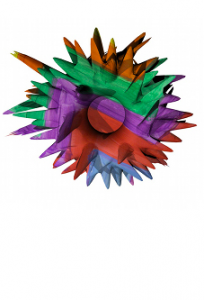 This is a 3D model of an angry emotion, created by a student at Weatherhead Media Arts Academy whilst taking part in the first ever Flunstellas course. To download this model click here. ‘An Angry Emotion’ is part of ‘The Weatherhead High Flunstellas Model Library’ by Weatherhead High Fact/Flunstellas Group which is licensed under a Creative Commons Attribution-NonCommercial-ShareAlike 3.0 Unported License. Based on a work at www.flunstellas.org. Permissions beyond the scope of this license may be available at neil.winterburn@flunstellas.org. Flunstellas are all around us.